It’s a case of Déjà vu. They may be down 2-0, but there’s no reason to hit the panic button just yet. 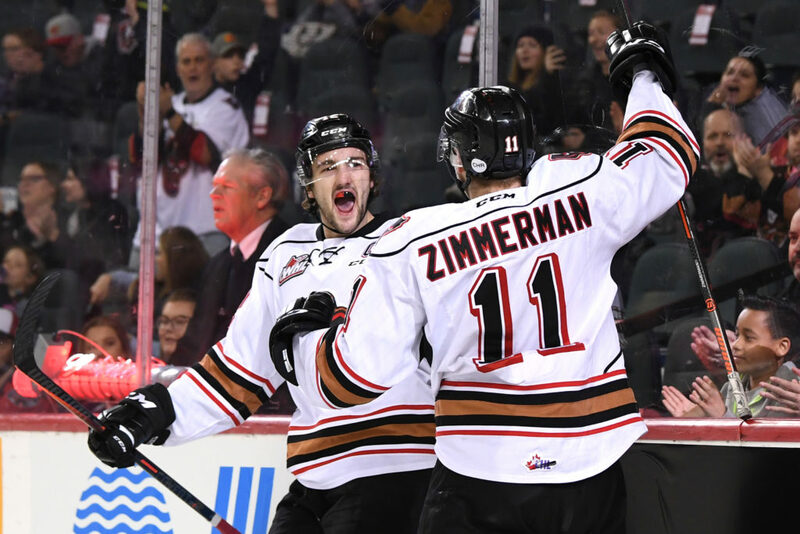 The Hitmen return back to home ice for Game 3 Tuesday night at the Scotiabank Saddledome, presented with a golden opportunity to get back into their Eastern Conference Semi-Final series against the Oil Kings. It’s not the scenario they wanted, but this isn’t anything new to them. “We’ve walked a mile in these shoes before and it’s a critical point in the series for us,” head coach Steve Hamilton said. “I thought we had a solid performance in Game 1 but in Game 2 we looked like we were pulling the team bus around, we were never where we needed to be. 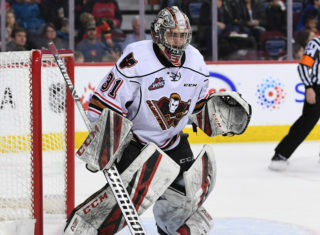 It’s ironic how similar the start of the second round mirrors their first round series against the Lethbridge Hurricanes with similar setbacks of a 3-2 overtime loss in Game 1 and a 4-1 loss in Game 2. After that, they went on to win three straight games leading to winning the series in seven games and if history ends up repeating itself, they’ll be happy to take it. There’s a lot of optimism and belief that they can rebound. 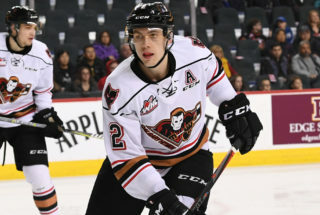 “Everyone has bought in to the belief of getting it accomplished and it’s a fresh start for us being back home,” Hitmen captain Mark Kastelic said. “We can’t just be satisfied with having one series win under our belts. We are obviously proud of ourselves but still have that fire for more. It’s no question that the series against Edmonton has been a tough hard fought battle with the Oil Kings smothering play defensively. It’s caused for a bit of frustration with not getting the chances they want offensively but they know that they have a lot more to give in turning the tide in their favour. “We haven’t been as good as we are capable of being to this point in the series,” Hamilton said. “You have to give credit where credit is due but we need to learn and adapt in order to be successful. “We’ve never done anything particular easy but a little adversity has been a part of our recipe and we’ve embraced that. 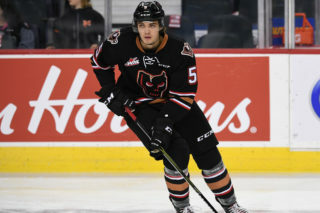 A particular focus in Game 3 will be to stay out of penalty trouble as the Hitmen took seven penalties in Game 2, compared to just the two they were assessed in the opener. It’s hard to win when down a man that many times and they are fully aware it’s something unsustainable. 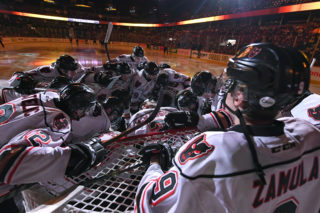 “We need to control our emotions and stay disciplined,” Kastelic said. 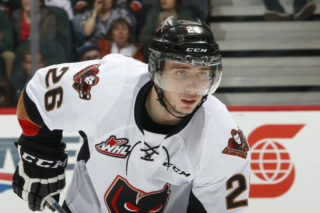 “When you get into that much penalty trouble it kills the momentum and makes it tougher to get things going 5-on-5 when you are always down a man. There’s always going to be that intensity in playoffs and it’s good to play with emotion but the key is to not overstep that line and stay even-keeled.